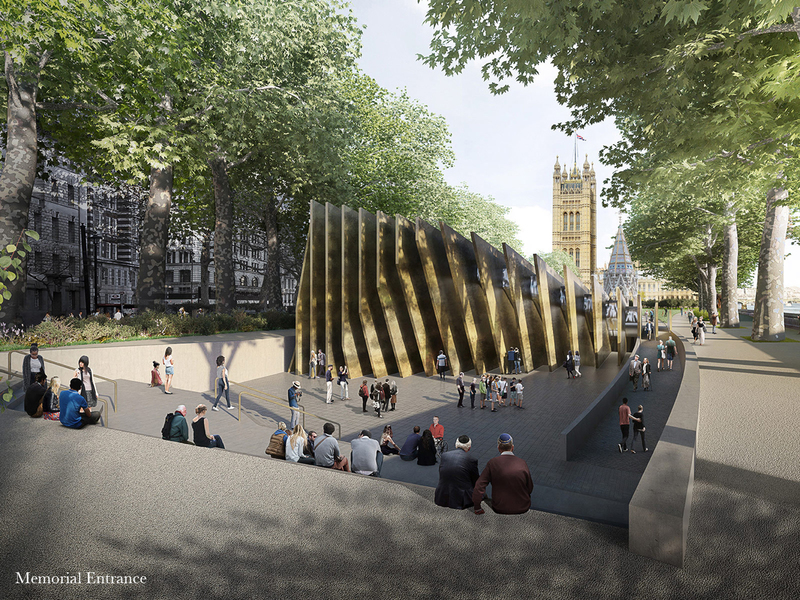 Critics of the upcoming UK Holocaust Memorial and Learning Centre have cried out to the government over its prominent location in London’s Victoria Tower Gardens next to the Houses of Parliament. The Jewish Chronicle reported that a cross-party group of Jewish leadership worries the $58 million project “conveys an impression of national guilt” and that it’s too close to the Imperial War Museum, which has held a long-standing permanent exhibition on the Holocaust. Despite these complaints, Sir David Adjaye, the British architect behind the memorial, is fiercely defending his vision, and several advocates, including three major Shoah charities, are backing him. Adjaye told ES Magazine this week that the poignant memorial needs to sit next to Parliament because “Holocaust-deniers have festered” in the country in recent years. Most notably, Britain’s Labour Party leadership has been accused of allegedly stirring up anti-Semitism in national politics. “History has taught us that we need a mechanism to remind us of what we did and why we did it,” Adjaye told ES. Adjaye Associates won a competition to design the structure last year after submitting a proposal with Israeli designer Ron Arad and landscape firm Gustafson Porter + Bowman. Their vision for a bronze, sculpture-like memorial sporting 23 stark fins beat out teams from Zaha Hadid Architects, MASS Design Group, Anish Kapoor, Studio Gang, Foster + Partners, and more. The competition was put together by the UK Holocaust Memorial Foundation and backed by former British Prime Minister David Cameron.